ShawnSchaller.com is a fundraising campaign for the Children’s Miracle Network (CMN) that launched in May 2017. It was accompanied by a 57-page research paper encouraging individuals to become charitable difference-makers via proven business principles. The distinguishing opportunity comes from channeling passions and abilities into positive, sustainable efforts. ShawnSchaller.com became a CMN benefactor due to the nonprofit’s scope of influence and financial efficiency. 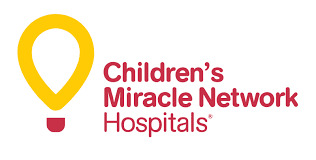 This campaign raised more than $1500 for CMN in 2017. Create an environment of opportunities for which people want to give. Host relevant events that spur people to participate in exchange for donations. The campaign’s financial goal is year-over-year growth. The 2018 goal will start at $1700. Primary data collected for my research paper shows that my immediate audiences are more interested in images and graphics than links or calls to action. This will guide my social media efforts to friendraise and create positive sentiment. A foundation of quality digital content, including regular articles and videos, will generate additional campaign credibility and interest. Each episode will be based on a light-hearted topic ranging from fun and games to entertainment and pop culture. Episodes will feature relevant guests for topical interviews and segments. Regular articles include reviews of the previous show, campaign and fundraising event updates, and perspective pieces related to hobbies, games and tech. Misc. items posted as available, such as outreach opportunities and raw footage from show production, including unused segments and game livestreams. Constructive interactions with successful fundraisers and digital entities. ShawnSchaller.com will distinguish itself by laying a strong local foundation, digitally and physically, using sustainable human and personal resources. However, digital content represents potential expansion. Current multimedia offerings are precursors to new opportunities. Sponsors for the show and website, and innovative digital fundraising events are the future of the campaign’s growth. My ideal campaign will make others want to participate of their own accord. Prominent digital content and popular local events will be products exchanged for support. Patrons’ satisfaction and intrinsic feelings for participating will forge the best possible brand of loyalty.